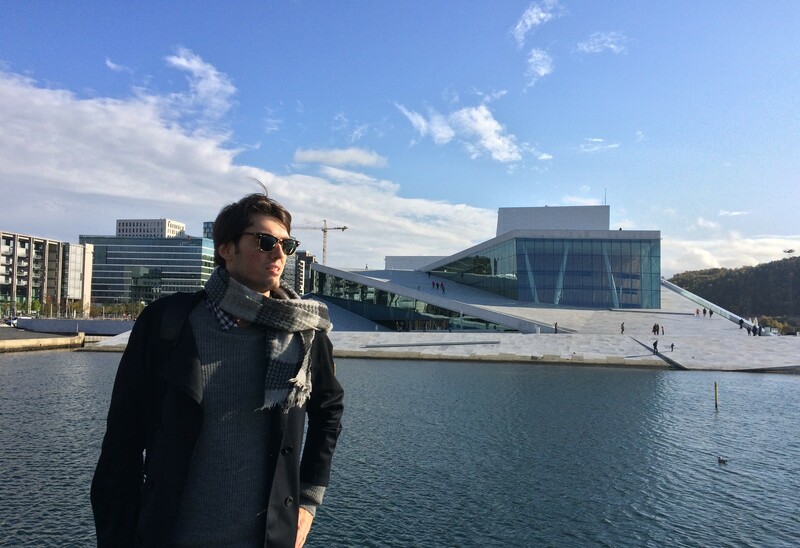 I visited Oslo exactly a year ago. My best friend Nikola moved there for studies and I came up with the idea to go there for a weekend. 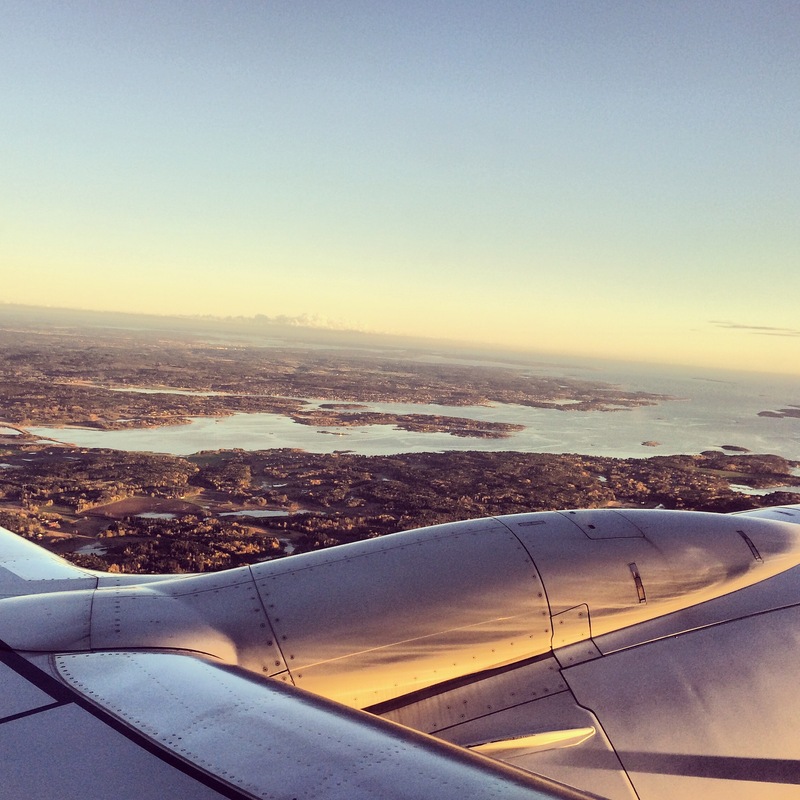 I booked my last minute flight and got to Oslo. I must say that I was lucky with the weather, because in October it can be already very cold. I will first write about some of the most important landmarks I visited there. Oslo is an undiscovered European city, and maybe not the first one you will pick to visit, but it’s really worth seeing. Oslo is a city by the sea and it makes it so lovely. 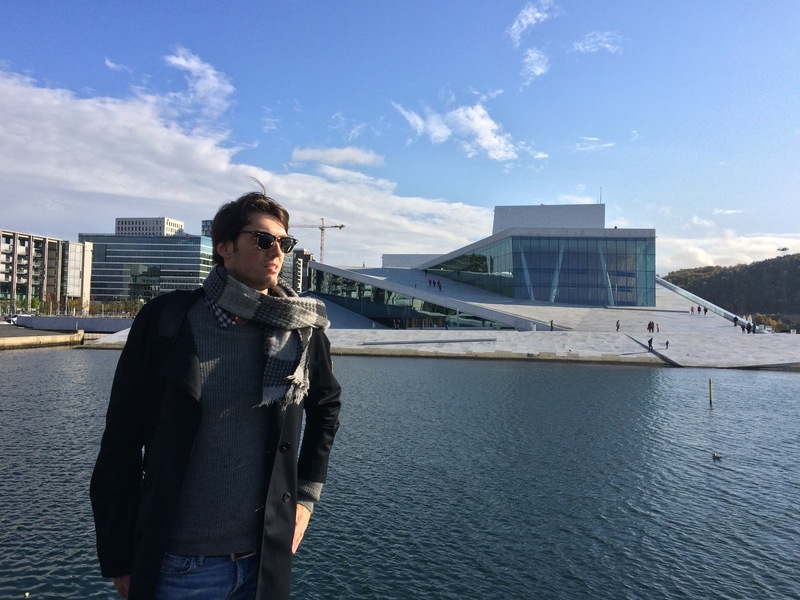 I visited the amazing Opera theatre, a marble and glass construction that reflects the façades of the city. Unfortunately, we didn’t have enough time to see an opera or ballet, but if you stay more than weekend, make sure to book tickets in advance. Oslo has diverse neighborhoods. Some of them are very central, and some of them are not but they are well connected since Oslo is not a big city. 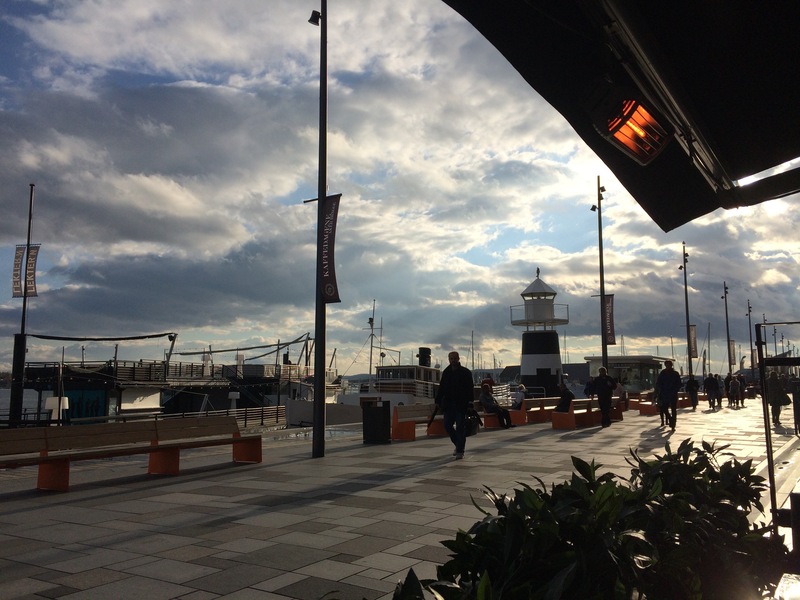 One of my favorite districts is Aker Brygge, situated by the pier where lots of fancy bars, restaurants are located. 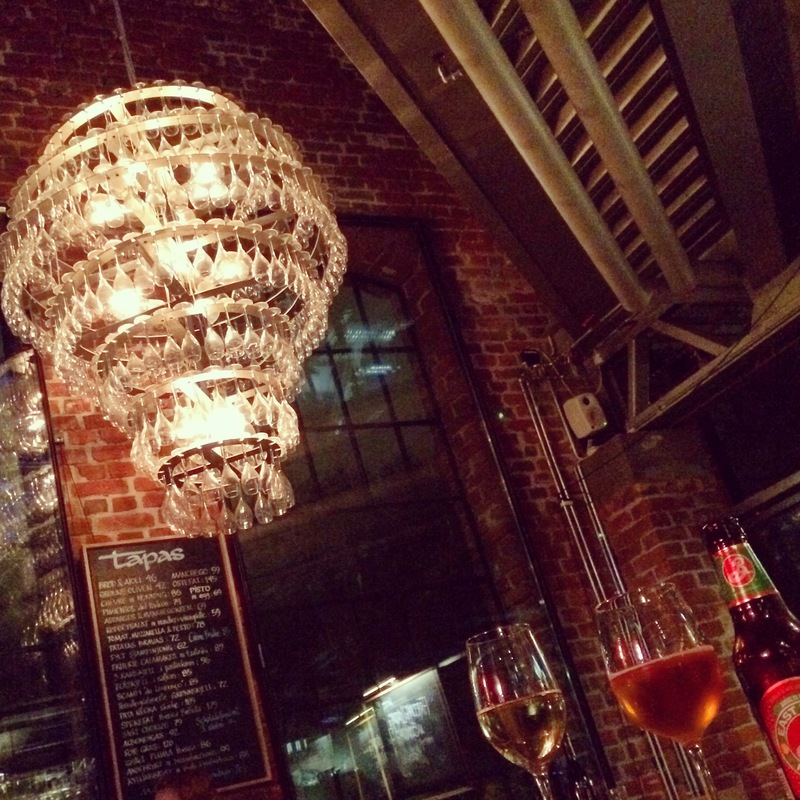 I visited Albert bistro, and I liked its cozy atmosphere. Oslo is a city that has one of the most beautiful parks I’ve ever been to: Frognerparken. Its autumn colors left me breathless. 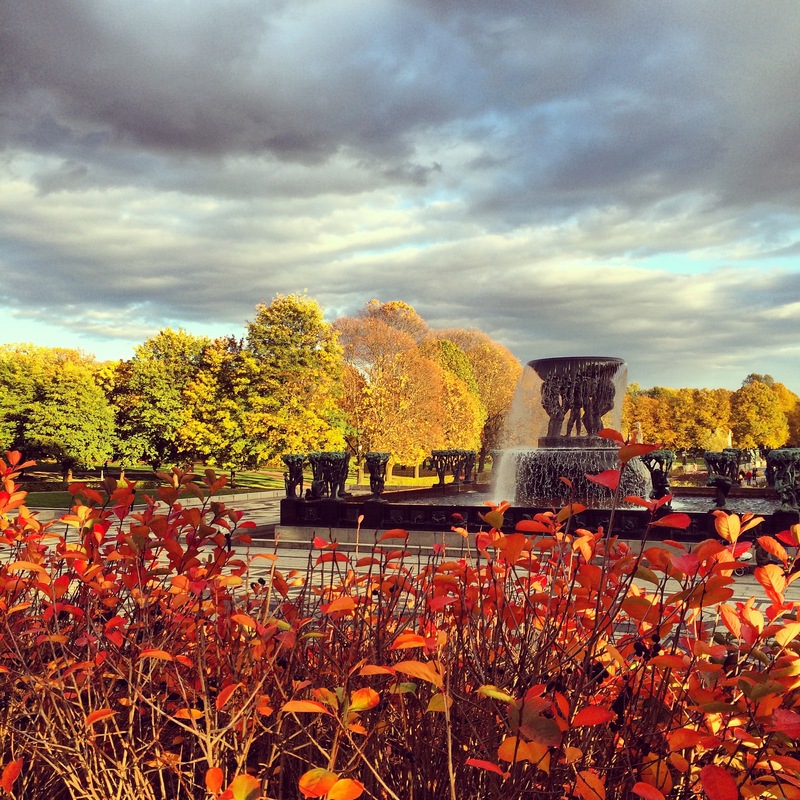 I went also to the upper area of the park where Vigeland’s sculptures are permanently exhibited. If you visit the park, make sure to have a walk through the streets of Frogner, Oslo’s affluent residential neighborhood. The National Gallery in Oslo is one of the most important museums in Oslo. 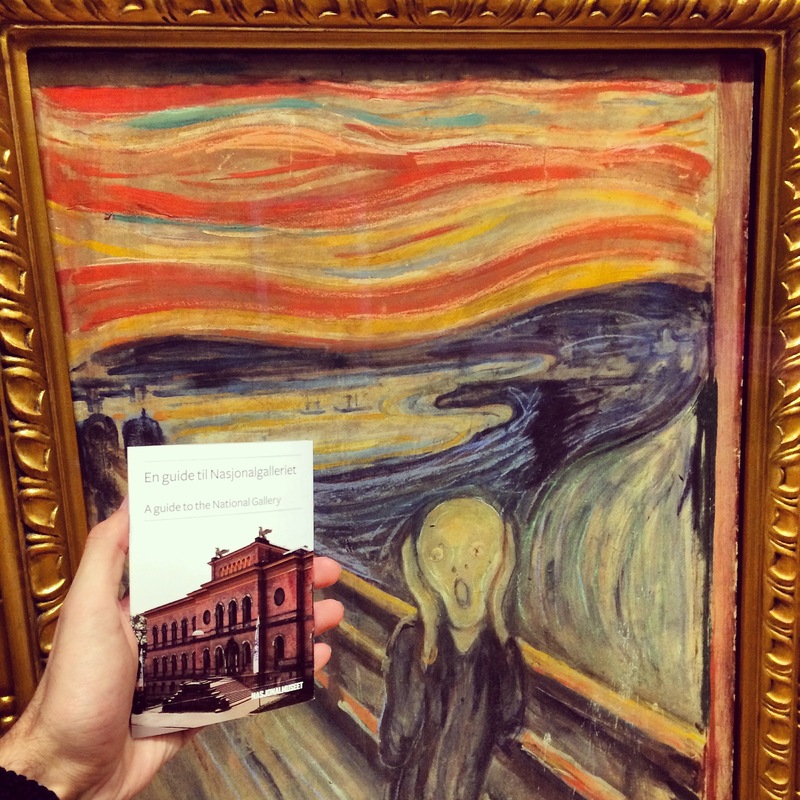 It’s where Munch’s Scream is exhibited. The gallery includes not only the pieces of Norwegian and Nordic artists, but also the works of other European painters, such as: Renoir, Cézanne, Van Gogh, Picasso and others. 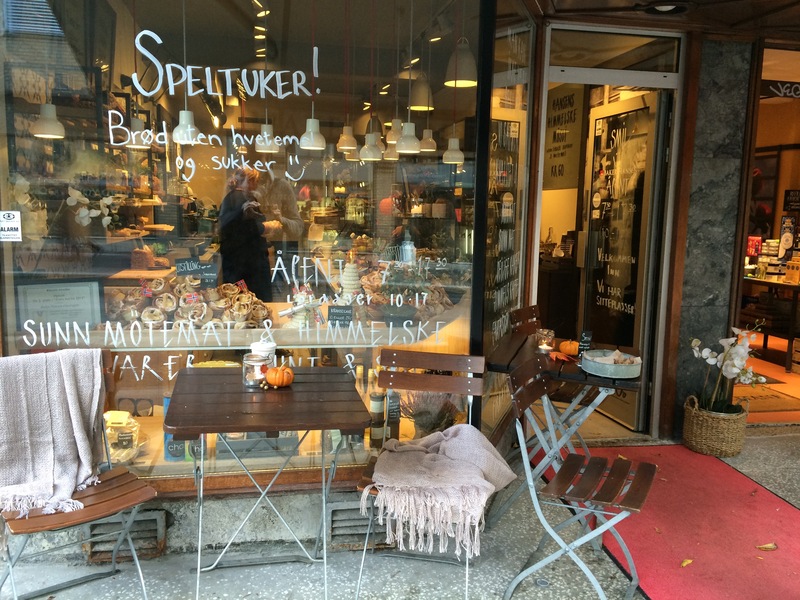 The thing that I loved about Oslo is that they have coffeeshops and bakeries everywhere. I love Italian coffee but I must say that I sometimes miss the american coffee culture here in Milan. There are lots of Starbucks style coffeeshops where you can enjoy a big Americano and muffin or brownie. 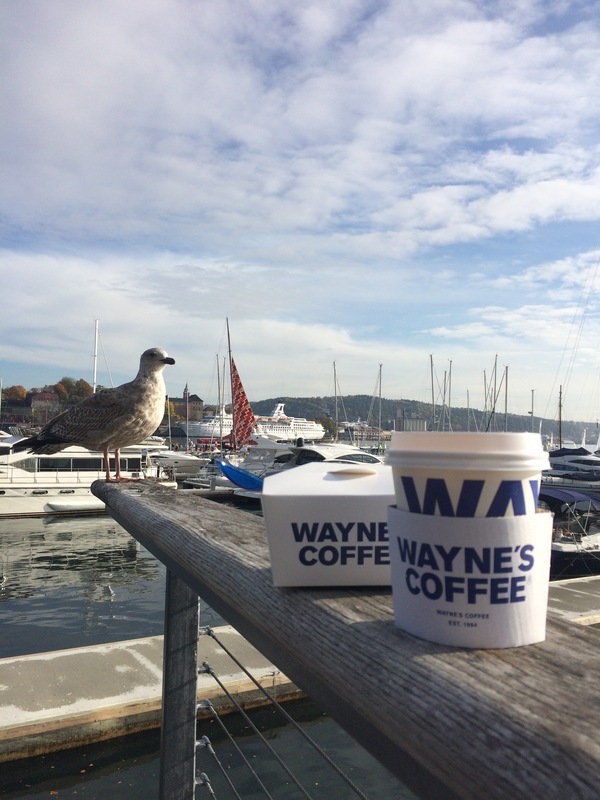 My favorite was Wayne’s coffee. One of the best casual dinner places in Oslo I would recommend is The Nighthawk Diner with a great choice of burgers and other American eats. The diner is located in Grünerløkka, the neighborhood famous for nightlife where different bars are located. It’s definitely one of the liveliest districts in Oslo. The bar that I liked most is La Champagneria Bodega located in Mathallen, big food hall (during the day). It’s a wine and tapas bar with a great selection of Mediterranean wines. 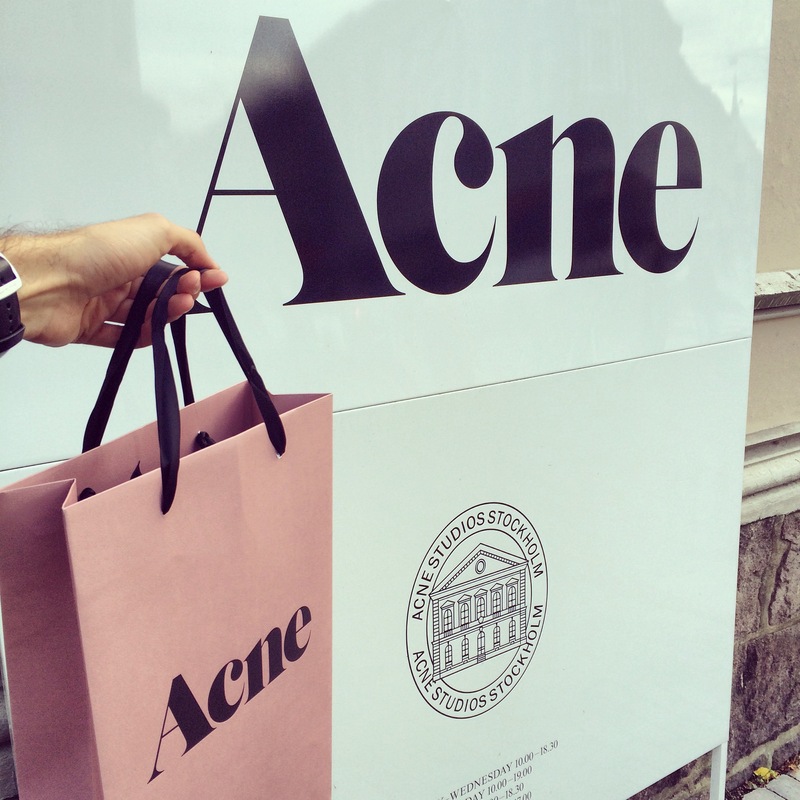 If you are into Nordic brands, shopping in Oslo can be really good. I bought a pair of Acne studios black jeans and I loved it so much. Oslo also has high-end stores, such as Louis Vuitton and Hermès, as well as fast fashion brands. The biggest downside is the price. Everything is more expensive than in other European countries, in particular, Italy, so it’s not very convenient to shop there. In case you have the opportunity, visit Oslo. It’s a city that offers a lot; from arts and culture to fancy places where you can enjoy a glass of wine and eat well. I’ll be back.